The Appalachian Trail From Maine to ... Alabama? Thousands of people dream of having an adventure that will let them experience nature and the world, take them away from the rat race of everyday life, and change their lives. 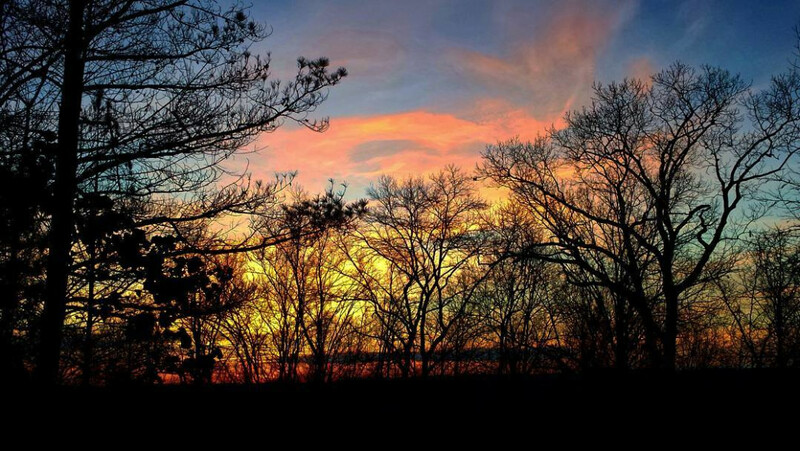 For many outdoor lovers, the Appalachian Trail fills that void. It’s a chance to walk over 2,000 miles from Georgia to Maine in virtually nothing but wilderness, testing both your physical and mental strength and stamina as you carry everything you need to survive on your back for six months. The hikers who complete the challenge often say it offers a new perspective on life and its meaning. But for many, hiking the AT is not enough. Indeed, these are purists who believe that if you’re going to hike the Appalachians, you need to hike the entire Appalachian range, which means starting the hike 335 miles south of Springer Mountain in Georgia on a small, unassuming peak in Weogufka, Alabama called Flagg Mountain. And thanks to a group of dedicated volunteers, non-profit organizations, and government agencies, they have quietly made that trek a reality. Regional planner, forester, and conservationist Benton MacKaye is recognized as the "Father of the Appalachian Trail". In his life, MacKaye pioneered the idea of land preservation, and in 1935 he co-founded the Wilderness Society. Before that, however, in 1921, the American Institute of Architects published his article, An Appalachian Trail: A Project in Regional Planning. The article outlined a plan to create a footpath that would stretch from Georgia to New England, specifically Mt. Washington in New Hampshire, along the spine of the Appalachians. By 1925 trail building was well underway. That same year the newly formed Appalachian Trail Conference (later the A.T. Conservancy) decided the trail should "extend to Katahdin [in Maine], then to Birmingham, Alabama." By 1937, the first incarnation of the AT from Georgia to Maine was completed. 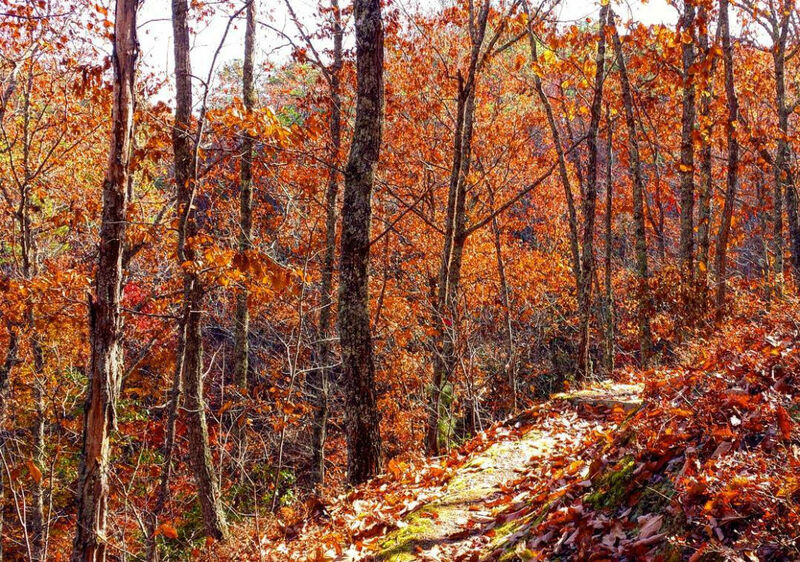 The connection of the Appalachian Trail to Alabama technically began in 1972, although it’s hard to say if that was the ultimate goal at the time. U.S. Forest Service employees Jim Bylsma and Bobby Bledsoe came up with an idea to build a trail across the Appalachian ridges of Alabama’s Talladega National Forest. The trail was to be named the Pinhoti Trail, which is an Indian word that means "turkey trail"—fitting because you can’t walk far before kicking up a wild turkey from the brush. Trail work began that same year, and with the help of the National Park Service’s Youth Conservation Corps the first section was completed. By 1984, 60 miles of the trail were complete and the goal became perfectly clear: make that connection between the AT and Alabama. 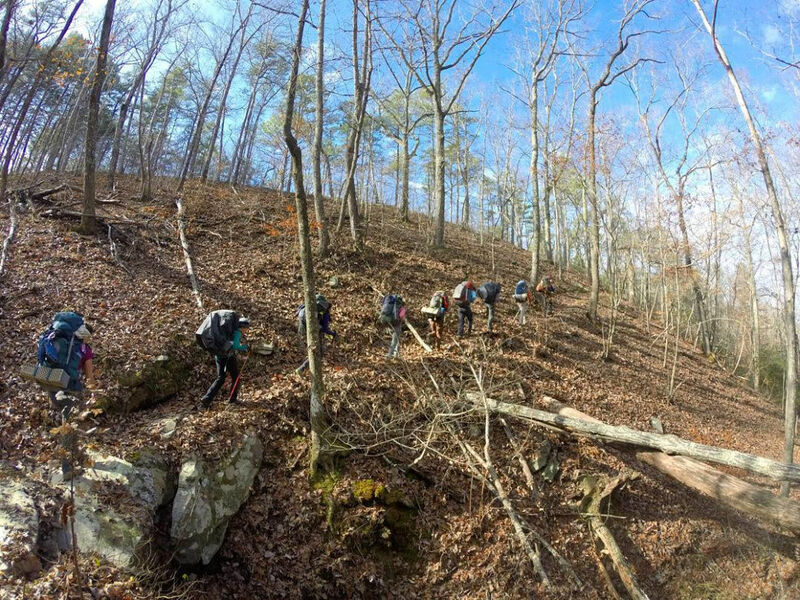 About that time in Georgia, another group had taken up the challenge and was quietly working on their own trail, the Georgia Pinhoti Trail, which connected to the Benton MacKaye Trail and the A.T. 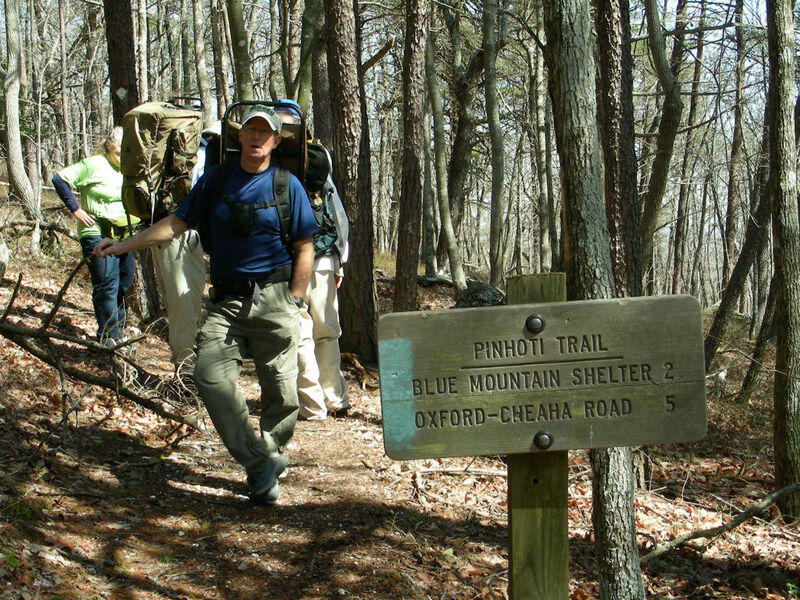 In 2008, the two Pinhoti Trails joined together and with great fanfare the connection was completed. A granite boulder with bronze marker was placed on the Alabama Pinhoti commemorating the event. But even with the connection of the two trails, the dream of being able to walk the entire Appalachian chain wasn’t complete. Looking at a map, it’s clear that the Appalachians actually run farther south from the Talladega National Forest to what is recognized as the last mountain in the chain over 1,000 feet tall, Flagg Mountain, in Weogufka, Alabama. At one time the mountain was to be part of a state park. In 1933 the Civilian Conservation Corps began construction of cabins built with hand hewn logs and a massive hand built stone fire tower from where you could see the lights of Montgomery to the south and Birmingham to the north. The park was abandoned with the advent of World War II and was then manned by the Alabama Forestry Commission until 1989 when the site was abandoned. Since then the towering stone fire tower of Flagg Mountain stood quietly—but that has recently changed. Local and state government agencies including AFC, Alabama’s Forever Wild, and the Alabama Trails Commission, plus many nonprofit conservation groups, individuals, and a crew of die-hard volunteers guided by the Alabama Hiking Trail Society are renovating the cabins and tower to put them back into a stable, use-able state. Meanwhile the trail itself has been completed to just south of the top of the mountain, but hikers can begin their journey at the fire tower and walk a short distance to the Pinhoti. In addition to moving the Pinhoti to the top of Flagg the volunteers are working to improve trail shelters along the trail, building new bridges, increasing and improving signage and blazes, creating National Park worthy trail gateways, and incorporating new trail heads so that the Pinhoti will be brought up to AT standards. 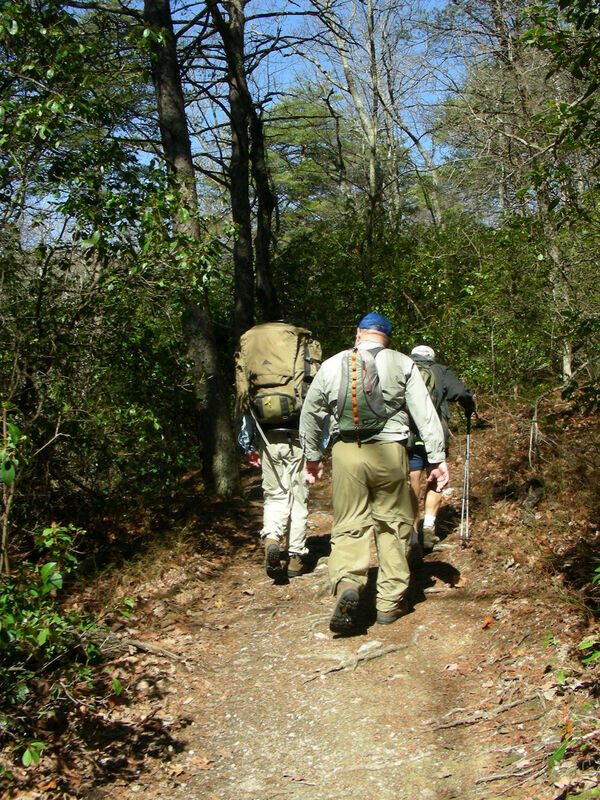 As more and more hikers are regularly beginning their journey at Flagg Mountain so that they can lay claim to hiking the entire Appalachian range, businesses are beginning to crop up nearby, like the Coosa Hiker Hostel that puts hikers up overnight in nicely appointed RVs and shuttles them to different trailheads. Of course, there is still much more work to be done to put all of the pieces in together. One day all of those involved would like to see the southern trailhead of the Appalachian Trail officially relocated to Flagg Mountain. But for now, they are thrilled to let the world know that you can now hike the entire Appalachian Mountain chain—and that Alabama has a world-class approach trail to the venerable and historic Appalachian Trail that’s ready to be explored.